I was recently given the opportunity to view the horror short "Dogged". Before I get into the short, I want to give you a brief rundown about this project. "Dogged" was written and directed by Richard Rowntree. This short was shot in single day, costing around £300 to produce ($500), and it's only 4 minutes long. This film was also entered on the BBC show "The Fear" where it placed 5th out of almost 500 entries. It is also being considered to debut at many upcoming film festivals, which is why it has yet to be publicly released. Despite being under 5 minutes long, "Dogged" packs a punch. It follows a couple, Sam and Lola, who become the target of a masked madman. As the story unfolds, Sam realizes he is dealing with something much more sinister. 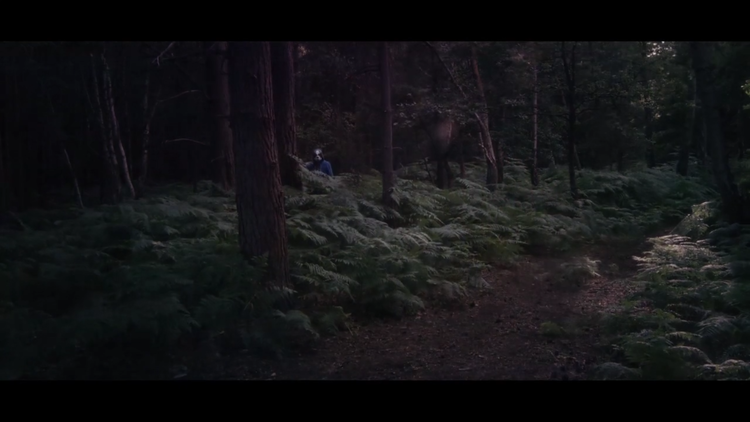 Another thing that really stood out to me is the cinematography. Richard's camera work and shot selection does a really good job of pulling the viewer into the madness he's created. The main objective is to get "Dogged" fleshed out into a feature length film. If this concept version is anything to go by we will be in for a wild ride, filled with greater characterization and higher production values when the film is made. The Kickstarter for this project launched today, which is another reason we are so excited to share it with you. You can head over the Kickstarter link below to find out more information. You can also follow Richard Rowntree on Twitter to get updates on the film. Best of luck to you Rich! We can't wait to see your concept come to life!